We are proud to announce a brand new tour for 2019! Set in the stunning Cévennes hills just north of the Mediterranean plain, the tour represents a bridge between our luxury leisure tours and our full on mountain tours, and is ideal for riders who have a few seasons' riding experience, and want to add a bit of a challenge to their cycling vacation. Whilst the riding is a bit more challenging than our leisure tours, the comfort levels are just as high, staying in 4* and 3* hotels in dramatic settings, with the highest standards of food and wine as you would expect from our leisure trips. The route starts in the wonderful town of Uzès, one of our favourite places on any of our tours, with it's restored pedestrianised medieval centre. Early arrivals get the chance to visit the magnificent Pont du Gard Roman aqueduct. The following days venture into ever wilder and remote countryside, with some of the most dramatic scenery in France - but don't worry, each day ends at a very comfortable and characterful hotel, with an elegant three or four course dinner awaiting! 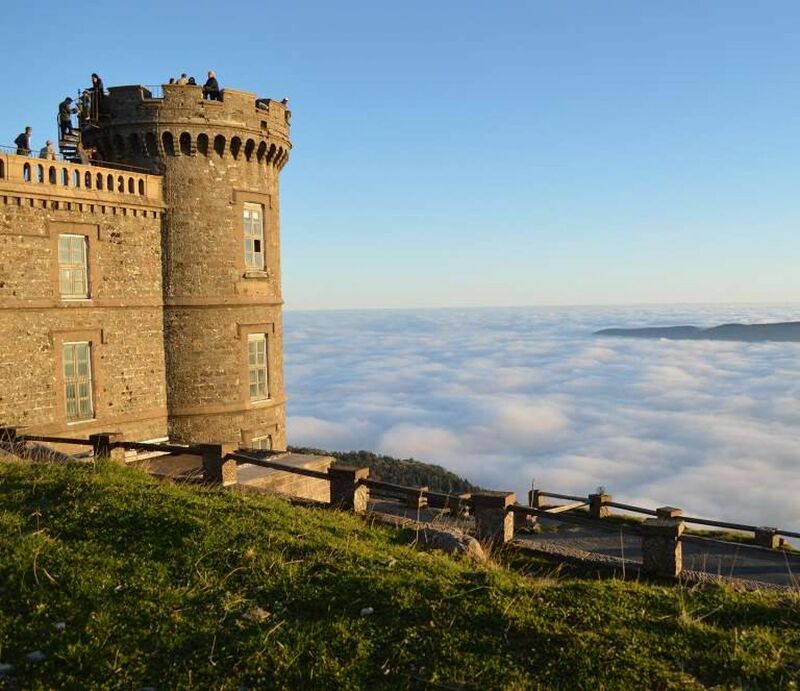 Some of the amazing sites you will see include Mont Aigoual, the highest point in the Cévennes, where the weather station often sits above the clouds; the Gorges of the River tarn, one of the most stunning cycling roads in Europe, and the Cirque du Navacelles, a dramatic crater cut into the limestone plateau by the meandering River Vis. An optional ride gives the chance to see, from below, Sir Richard Rogers' astonishing Viaduc de Millau, the motorway bridge spanning the Tarn Gorge at a height greater than the Eiffel Tower! Hotels vary between a 15th Century Château, a medieval stagecoach inn, a 14th century fortified farmhouse and a converted distillery! Restaurants feature local specialities with a sophisticated twist, and take advantage of the game of the mountains, the lamb of the limestone plateau, seafood from the nearby Mediterranean - and many local cheeses, the most famous of which is Roquefort which comes from the limestone causses near Millau. To see full details of the new tour, about which we are incredibly excited, click here.